Admiral & John Robinson Soccer (JRS) have partnered together to provide our partners with soccer camp’s to support your existing programs. This is an opportunity for clubs and associations to generate extra revenue by having John Robinson Soccer run all or some of their camp programs. Admiral camps are for recreational & competitive boys & girls aged 6 thru to 16 years old. A week of soccer training & education covering; Ability, Strength & Conditioning, Technical Training, Sports Performance, Nutrition, Tactical Awareness, Psychology, Commitment & Dedication. Your players can win a 7 day soccer experience in Europe plus free Admiral kit. Our program is different because it’s run by Legendary former players and highly qualified UEFA licensed coaches. It's led by John Robinson who played over 500 games in English Premier League & Championship and for Wales in a career spanning 17 years. Gordon Hill played for Manchester United & England, Russell Osmand played for Ipswich and England. 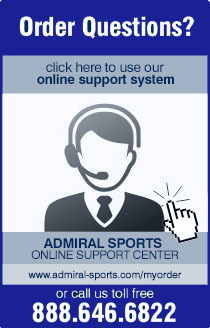 Talk to us about how Admiral Camps by John Robinson Soccer can support your organization.